Fisher Panda 9kva generator with whisper quiet underwater exhaust option. Separate shower room in the owners master suite aft cabin. 2 Double cabins (both en-suite), dinette converts to further double, single berth on sofa. Washing machine housed below forward cabin double berth with access doors. Chest freezer below dinette seating. Upgraded water pump to service galley and forward cabin. TV - lowers and raises from saloon cabinet. A very high quality steel cruiser with many extras and high specification built for her current owner in 2006 by the renowned Dutch builder Pedro Boat BV. meticulously maintained by her one owner, out for antifoul, new anodes, hull and superstructure polish and engine, generator & bow thruster service March 2017. She is as comfortable on the high seas as well as the rivers and canals with her CE Category B (Sea Going) classification and her low airdraft for the bridges (with arch lowered and windscreen down). Very spacious both below and above decks and an outside helm position gives the helmsman superb visibility and control. The steel hull has been finished to perfection with the Awlgrip system. A beautiful boat with a long list of optional extras and additions, the highest equipped example on the market, which would put this boat close to £400,000 new today. British Flagged. 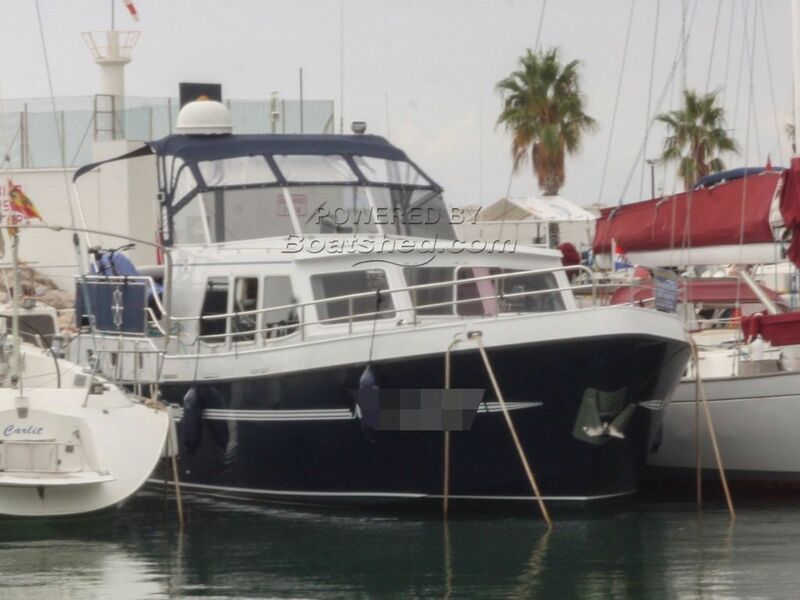 This Pedro Levanto 44 - Many Extras has been personally photographed and viewed by Paul Griffiths of Boatshed Barcelona. Click here for contact details.